« Older: 2018 Atlantic Hurricane Season at its peak; be prepared! The 2018 Atlantic Hurricane Season closed on Friday, November 30th, sparing Belize from any major storms. 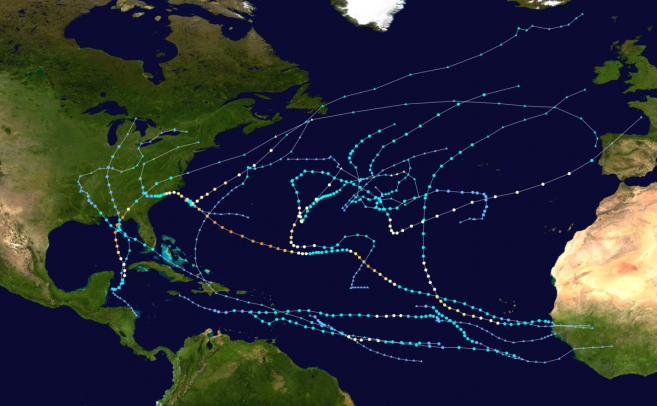 Classified as an above-average season, there were 15 named storms, eight hurricanes, and two major hurricanes. While Belize fared well, the United States of America, Mexico, and some Caribbean countries sustained more than USD$33.3 billion in damages. NMSB stated that although November 30th marked the closure of the Hurricane season, Belizeans should remain vigilant of weather formations. “History teaches us that systems do form outside of the seasons. One example is Tropical Storm Alberto that formed in May of 2018. The National Meteorological Service takes this time to ask everyone to do a review of their 2018 hurricane plan to see their weaknesses and shortfalls, so they can be better prepared if the need arises in 2019,” said NMSB.